When will be So That Happened next episode air date? 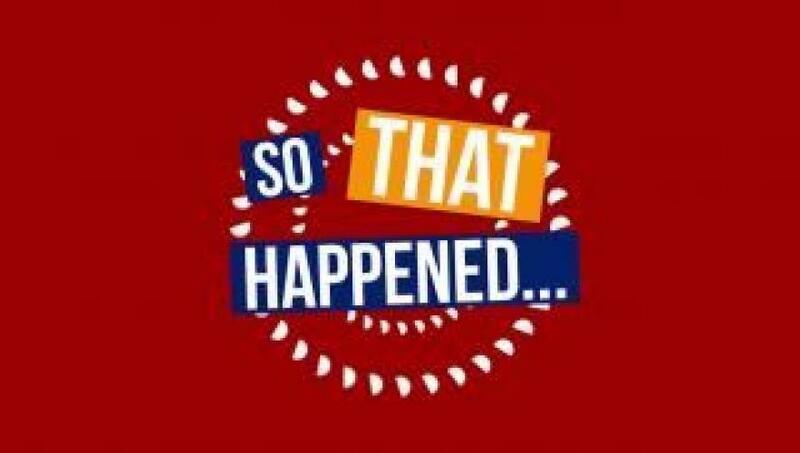 Is So That Happened renewed or cancelled? Where to countdown So That Happened air dates? Is So That Happened worth watching? So That Happened is a weekly, satirical "weird news" comedy show that skewers the latest and strangest headlines from around the world, and the ridiculous ways they are sometimes covered. Written and hosted by actor and comedian Mike Rylander, new episodes drop every Friday at 2pm EST, right here, on Ora TV! So That Happened next episode air date provides TVMaze for you. EpisoDate.com is your TV show guide to Countdown So That Happened Episode Air Dates and to stay in touch with So That Happened next episode Air Date and your others favorite TV Shows. Add the shows you like to a "Watchlist" and let the site take it from there.